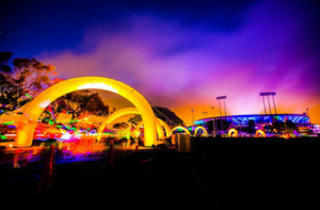 Electric Run, a sort of lovechild between a rave and a 5K run, is coming to LA to kick off Memorial Day Weekend. 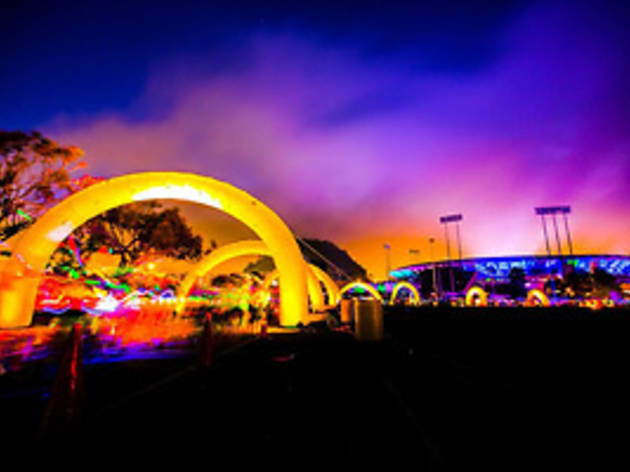 Appropriately hosted by neon-clad Spring Breakers star Vanessa Hudgens, the event’s track will lead its glowstick-wielding runners and walkers through several ‘lands’ featuring impressive psychedelic light installations with varying color patterns and EDM beats. It might be a perfect fit for those who miss the spirit and visuals of Electric Daisy Carnival, but not so much its bleary drug-addled side. Afterward, attendees can celebrate their accomplishment by dancing the night away at the main stage.